The Smartest Giant In Town is written by Julia Donaldson, the award-winning author of The Gruffalo. This is the chinese translated version. George is the scruffiest giant in town. 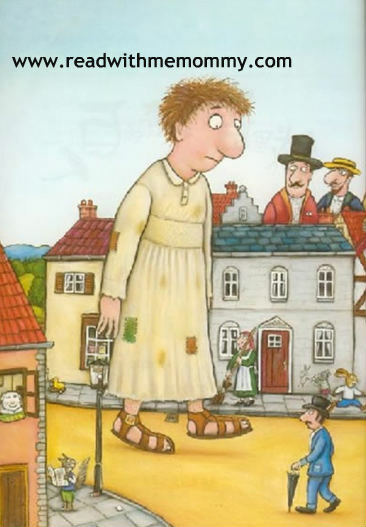 One day, the kind-hearted giant decides to get himself a set of nice clothes. On his way home, he comes across various animals. 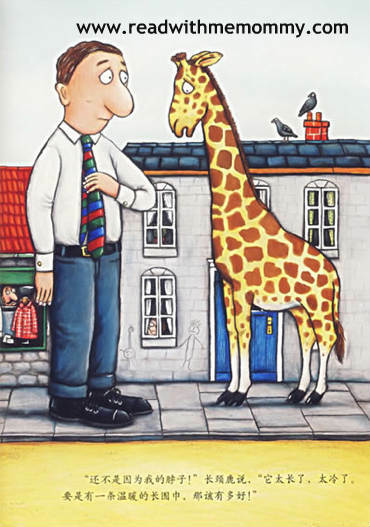 He meets a giraffe with a cold neck and he gives away his scarf to help the giraffe. Next, he meets a mouse whose house was burned down and he gives away his new shoes to the mouse. And so on. He gives away all his new clothes, one-by-one, to help the others. Eventually, he puts back his old stack of clothes and becomes the same old scruffy giant again. Nonetheless, for his generous/selfless acts, he found himself a whole new bunch of friends. They call him the Smartest Giant in Town. A sweet story that parents can use to teach our young ones to help others in need. The repetitive structure of the story makes it suitable for reading to young children. For reading to the child, this book may be suitable for children of 4 years and above. For self-read, we would recommend this book for children who are 7 and above. 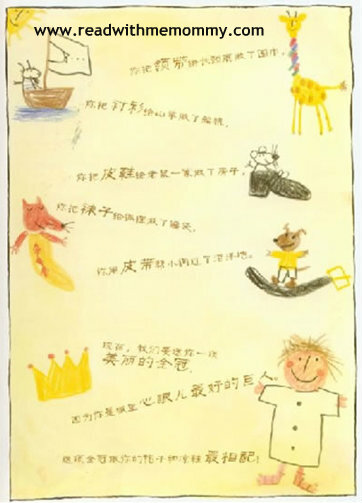 If you are looking for books to teach children about helping others and sharing, you may also like to check out The Rainbow Flower, written by a Japanese author.